Incense sticks are not just limited to fragrance. We present an exotic range of Incense Sticks that is much beyond good fragrance, which can do wonders for your personal and professional lives. Regular use of our Feng Shui Wood Incense Sticks attracts the positive energy to bring good luck for the concerned person. Besides, it also even out the imbalances of the body. We have used selected materials fabricate this collection of Feng Shui Wood Incense Sticks following ancient methods. While preparing, quality parameters have also been checked to ensure that these sticks are in uniform sizes, fine texture, and releases less fume. Air-tight packaging has also been taken to concern to make sure for locking the aroma for long time. 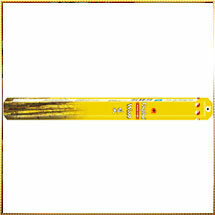 Our Feng Shui Wood Incense Sticks are available at very reasonable prices.